According to the National Institute of Mental Health, manic depression, also known as bipolar disorder, affects more than 5.7 million adult Americans every year. Terri Cheney is one of those Americans, and after a successful career as an attorney, she decided to leave the law and devote her advocacy skills toward a cause that is closer to her heart and write about her illness. 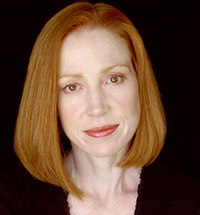 Her book Manic: A Memoir, (William Morrow) became a New York Times best-seller and received critical acclaim across the country. Cheney is a member of the California Bipolar Foundation’s Honorary Board and Patient Advisory Committee. In addition to speaking about bipolar disorder, Cheney also encourages the mentally ill to tell their own stories. In recognition of her efforts, she was appointed a member of the Community Advisory Board of the UCLA Mood Disorders Research Program, the nation’s largest nonprofit research consortium regarding manic depression. She received the 2009 Advocate Award from Mental Health Advocacy Services and an official Commendation from the County of Los Angeles for her service to the community. She also founded a weekly community support group at UCLA’s Neuropsychiatric Institute. Her writing and opinions about bipolar disorder, its impact on the patient, family, relationships, and society have also been featured in the New York Times, the Huffington Post, the Los Angeles Times, NPR, and numerous popular blogs. In Manic and with audiences across the country she shares her harrowing story. On the outside Cheney was an attractive and successful Hollywood entertainment attorney. She was always immaculately groomed, utterly competent and on the career fast track. But her carefully constructed outward appearance hid a dangerous secret – for the better part of her life Cheney had been battling manic depression. As she worked at some of the most well-respected law firms in Los Angeles she suffered through debilitating bouts of depression; raced dangerously through life during periods of mania; and concealed a pharmacy’s worth of prescriptions meant to stabilize her moods and make her “normal.” Cheney gives a voice to the unarticulated madness she and the patients she met during treatment endured. She skillfully gives every audience visceral experience of what it’s really like to be manic-depressive. After graduating Vassar College with honors, Cheney attended UCLA School of Law. She then specialized in intellectual property and entertainment litigation at several prominent Los Angeles firms, including Manatt, Phelps & Phillips. Over the course of her 16-year career, Cheney represented many celebrities such as Michael Jackson and Quincy Jones, and major motion picture studios, including Universal and Columbia Pictures. Her pro bono work ranged from counseling local theaters to petitioning the United States Supreme Court on behalf of the ACLU. Cheney currently lives in Los Angeles. "Terri Cheney, is an awesome woman ...and it has been a true pleasure having her here in Austin, Texas conducting a community forum for the Bipolar Foundation of Central Texas. Terri's' presentation was professional and connecting with her audience. We are looking forward to having her back..."
"Ms. Cheney was well prepared for our event, and was an excellent speaker on the topic of mental illness. 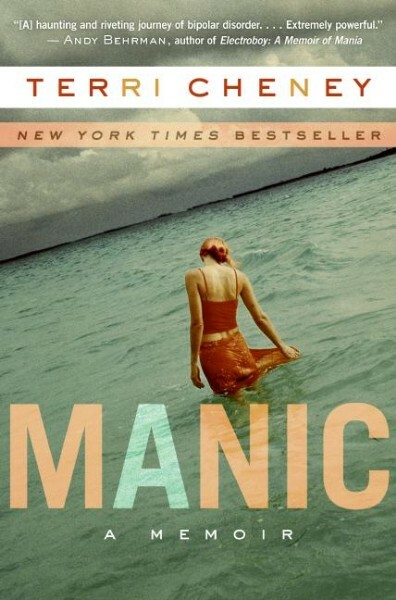 She read briefly from her book Manic, and talked about her life experience and struggles with bipolar disorder. She did an excellent job at fielding questions from the audience. She was engaging, responsive, and kind. She gladly signed copies of her book and talked one-on-one with many people after the event."